aThe Mega Fortune slot is famous for helping players make money and turning dreams into reality. 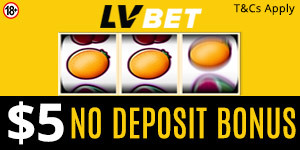 There is no end to this slot because many players are still winning. The lucky winner visited SlotsMillions Casino and scooped 2,553,604.67 euros on NetEnt’s Mega Fortune slot. The year 2018 started on a high note for one player who became the first millionaire at SlotsMillions. The anonymous player from the United Kingdom secured the impeccable prize after playing NetEnt’s Mega Fortune. The lucky winner played at the casino a few days after signing up and become a millionaire. The casino paid out a total of 75 million euros in 2017 and will definitely pay out bigger prizes this year. Mega Fortune’s luxury theme is famous in the online casino world. The game helps players enjoy the luxurious lifestyle and it seems to promise. It consists of 25 paylines and 5 reels. Every spin is an opportunity to win a massive jackpot. Everyone is thrilled to see someone win millions of euros. We congratulate the player for the big win. NetEnt’s team members were happy to reward the winner. They are always delighted to change the lives of many players. They were not surprised to see Mega Fortune produce and the first millionaire this year because the slot is extremely famous across the world. NetEnt’s Chief Product Officer wished all players a year of good luck.